Charles moved to Tanzania in 1985 after growing up in Nairobi and being schooled in both England and USA. His entrepreneurial spirit led him into various ventures including running companies in the motor trade, aviation, leasing and property. However his childhood in Kenya and his passion for conservation led him into tourism and in 1988 he opened his first camp in Selous Game Reserve at the age of 28. The success of the flagship camp encouraged him to develop two more camps on the Southern Circuit – inspired by the virgin, deserted beauty of this forgotten land – please go to our history section to read more of the tales of the camps. To join him on this journey, Charles married Netti in a beautiful ceremony in Selous Game Reserve in 1996. Austrian born and bred, Netti was no stranger to East Africa after spending significant lengths of time in Kenya in her 20s. As well as raising Lara, their daughter, Netti advises as a director in the company, with special attention to decor, sourcing and all those wonderful details which make our camps so special. Guests will often meet them in our camps, but they may also bump into Charles in the air, as he is a pilot for Coastal Aviation. 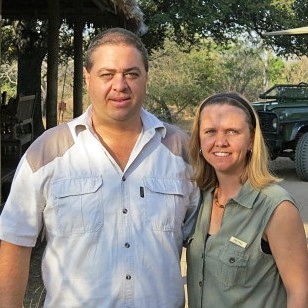 Ricus and Pietro are Afrikaners who grew up on farms bordering the famous Addo Elephant National Park on the Eastern Cape Coast of South Africa. They have been migrating across Africa for the last 15 years and have not only loved every minute of it but gained valuable experience in managing both bush & beach camps. Their careers have taken them from the cold desert shores of the Namibian Skeleton Coast to the hot tropical waters of Gabon and the islands of Sao Tome and Principe in West Central Africa. From there they pushed eastwards towards the northern frontiers of Kenya and then south into the Serengeti to hook up with the real migration. In 2012 they joined Selous Safari Company and managed our flagship camp of Siwandu for two years - their wealth of experience was a continual font of knowledge and fascinating tales for both the staff and guests alike - “The thing that made this stay so very special was the incredible attention to every possible detail by Ricus and Pietro - they seemed to have the ability to provide something before you even realised you wanted it” – PamWJ, Reading, UK (TripAdvisor, June 2013). In 2014 they embarked on a new adventure of opening a new safari camp in the Parc National du Delta du Saloum in Senegal and then down to the Congo, Brazzaville to do a turn-around and expansion project of the amazing Odzala Discovery Camps in the heart of the Congo Basin. In 2017 they decided to return to East Africa and to Selous Safari Company to take on the roles of General Manager for Ricus and Systems Analyst & Quality Assurance Manager for Pietro, based in the Head Office in Dar es Salaam. After completing school, Annemiriam joined YMCA Vocational Training School and studied Hotel Management for 2 years, which led her to join the sales team at New Arusha Hotel for three years. Following her time in Arusha, Annemiriam moved to Dar es Salaam and went into further study at the Dar Forodhani Hotel & Tourism Training Institute. 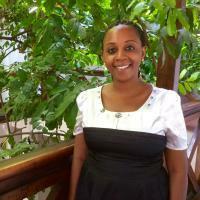 Back in Arusha, Annemiriam joined the reception desk at Novotel Mount Meru Hotel for three years during which she embarked on studying for a diploma in sales at College of CBE College of Business, which she completed in 1999. 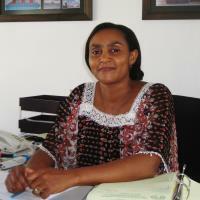 As well as studying for her diploma and pursuing her work in hospitality, Annemiriam got married in 1998 and due to her husband’s career she returned to Dar to work for the SeaCliff Hotel on their front of office desk. After the birth of two daughters and whilst still on maternity leave, Annemiriam studied an Open University course at the Cambridge International College and was rewarded with a diploma in hotel operations & management. In 2007, with her daughters in school and her husband working as a camp manager in Mikumi National Park, Annemiriam joined Selous Safari Company as a reservations consultant. After completing school, Rachel joined Njueni Institute of Hotel and Tourism Management and received a certificate of Tourism and Travel Operation. Following which she proceeded with her studies with a BA Business Administration from St Augustine University. After which she joined a travel company for three years before continuing on with her studies - she received a postgraduate Diploma in Transport and Tourism Management from the National Institute of Transport. From her postgrad Rachel was offered a job as a Transport & Logistics Officer for an internationally renowned Dar es Salaam groundhandler and later was promoted to the Reservation department as Supervisor. She joined Selous Safari Company's reservations department in 2016 and says "my dream came true of working in reservations, I am really looking forward to developing friendships with tour operators and ensuring all guests receive a high standard of service on booking so their holiday goes smoothly". 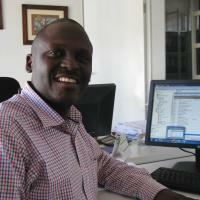 Gilbert is a Human Resources & Public Administration Graduate from University of Dar es Salaam. He has 8 years experience in HR and has been with Selous Safari Company since 2014. 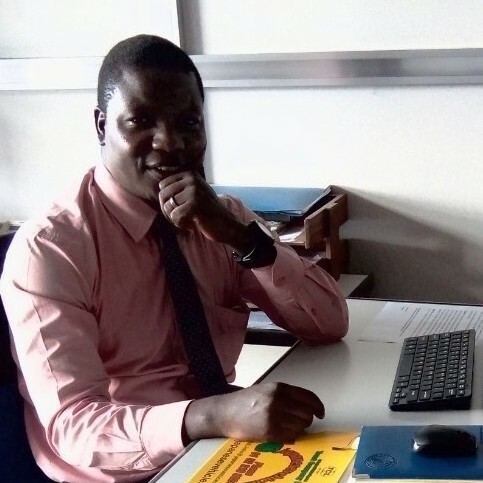 After higher education in 1998, Remmy joined Business Electronic Systems Ltd (Philips Tanzania) as an Accountant, under the supervision of the Chief Accountant his main role was to restructure the inventory systems and setup internal control procedures for the company. In 2001, he moved to SCI Tanzania Ltd, one of the leading IT Solutions companies in Tanzania as an Accountant, he dealt with both local and overseas creditors and helped to set up procurement procedures and an inventory control system.  During his 11 years with the company he found a need to balance not only a growing career and his need for more study – he became a Certified Professional Accountant (CPA) but he also got married and had two children. 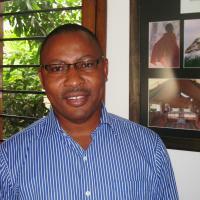 In 2012 he left the IT world for tourism and joined Selous Safari Company as Finance Manager. Remmy loves his new challenge of overseeing a busy accounts department and ensuring not only Head Office but all the remote camps run smoothly – no mean feat!